Blackheath is a small village of about 100 households in the north east corner of the Borough of Waverley. 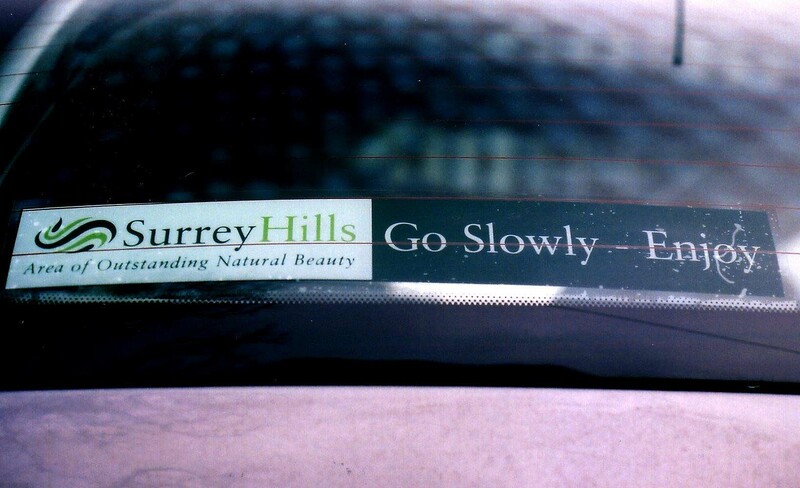 It lies approximately 5 miles south east of Guildford. It is within the Surrey Hills Area of Outstanding Natural Beauty (AONB) and is accessible by road only along 3 narrow lanes that for a number of sections are single-track with passing places. These lanes are Littleford Lane from the Shamley Green direction, Sample Oak Lane from Chilworth and Blackheath Lane from Wonersh. Many footpaths/bridleways meet these lanes and walkers and horse riders must use the lanes to reach the start of other public rights of way. 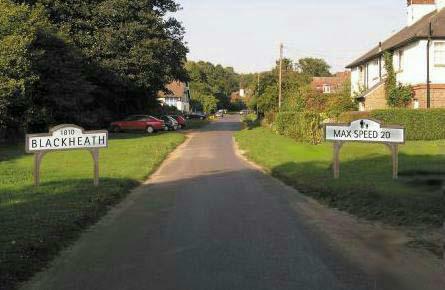 The national speed limit of 60mph applies to these lanes and through the village. Efforts to obtain a reduction in this limit go back many years. Minutes of Wonersh Parish Council in 1975 record …. "A traffic count would be taken in Blackheath by the County Highways following complaints by the Parish Council about speeding traffic through the village." Nothing became of this and little if any progress was made over the next 20 years or so. It was clear from data collected in the 1998 Village Appraisal that concern amongst residents remained at a high level with 81% of respondents identifying that speeding traffic was a problem. In 2002, encouraged by a presentation from the Project Manager of the Surrey Hills AONB Partnership to Blackheath Village Society, the Chairman of the Society and the Blackheath Ward Councillor for Wonersh Parish joined forces to see how a traffic calming project could be advanced. From a number of discussions there emerged a clear view that the first steps should be full consultation with residents about their concerns together with their views on a range of possible traffic calming measures. A questionnaire was distributed to all households and the return rate was over 70%. A strong theme that emerged was that while residents believed that calming measures were vital, these should not be of the kind that would suburbanise the appearance of the village. 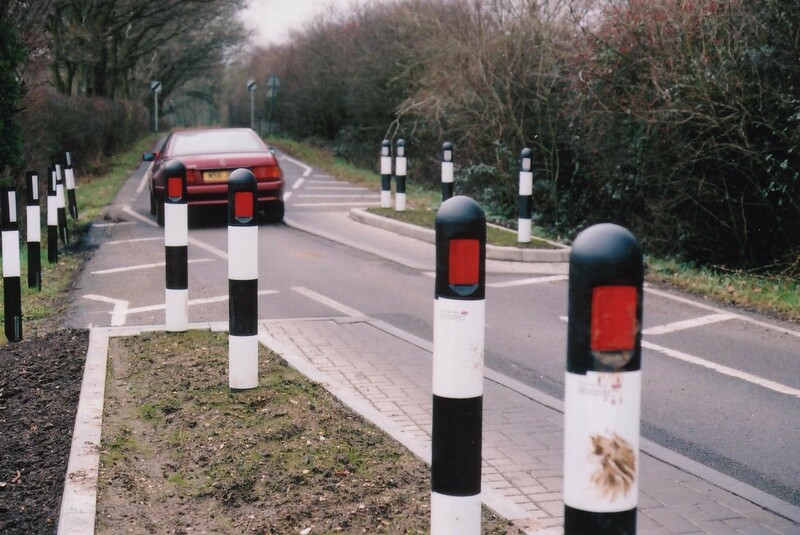 It is known that residents’ perceptions of vehicle speeds can be inaccurate and it was therefore decided to commission APS Ltd to set up automated data collection points at each of the "entrances" to the village in Blackheath, Littleford and Sample Oak Lanes. These recorded traffic data for 24 hours a day from 17–24 June 2003. Results indicated large volumes of vehicle movements for such minor roads (the designation of Blackheath Lane is the D211), an increase of average speeds in the morning and afternoon ‘peak’ hours and some very high speeds in the late evening. The results of the questionnaire and data collection were presented to a residents meeting later in 2003 together with a number of proposals for further development of the project. The meeting agreed that new village entrance signs, road narrowing at these points and an advisory speed limit of 20mph should form the initial stages of the project. Mike Richardson, a consultant to Surrey Hills AONB, contributed valuable advice to this meeting. Early in 2004, the co-ordination of the project was formalised and a joint-working party set up by Wonersh Parish Council and Blackheath Village Society which co-opted Mike Richardson. This group met several times during the next months in order to devise and finalise a number of visuals of various possible schemes. Members of the working party were aware from their own observations that a number of local residents themselves drove too fast for the road conditions. This view was supported by evidence from the Police who had carried out checks on the B2128 nearby in Wonersh. 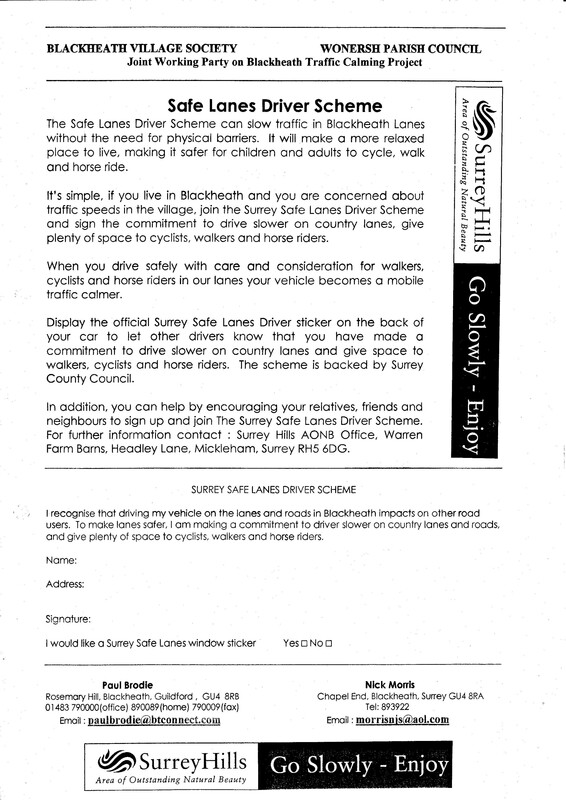 A Safer Drivers scheme that had been set up in Mayfield East Sussex, whereby all residents were asked to sign a ‘pledge’ to drive more slowly in the narrow lanes and to give greater consideration to walkers, cyclists and horse riders, was examined by the working party and, in consultation with the Project Manager of Surrey Hills AONB, a decision was taken to adapt it for Blackheath. This, a screen sticker and visuals were presented to a further residents’ meeting. The pledge scheme was enthusiastically adopted and specific designs for the village signs agreed. A feedback questionnaire reinforced the views previously expressed on the importance of the calming measures being appropriate to the rural setting of the village. to stop and repair the damage being caused to the banks and verges alongside the lanes adjacent to and within the village. 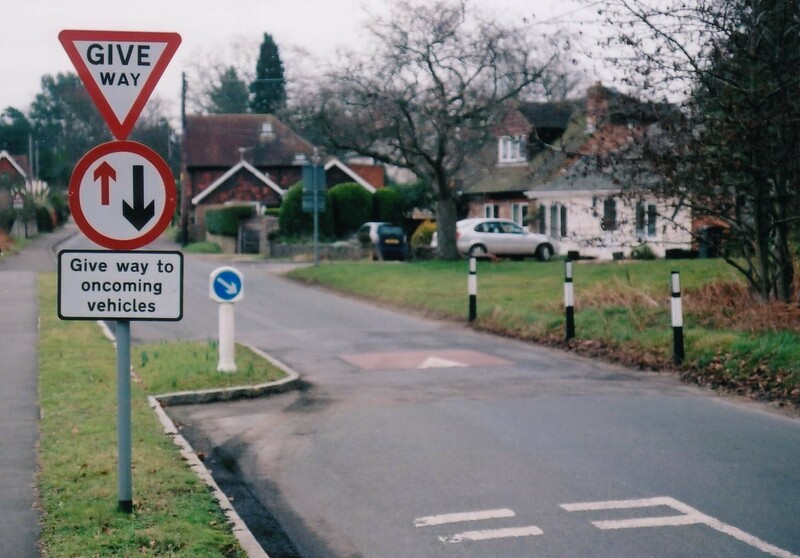 Funding towards the costs of the village signs and possibly the road narrowing has been granted by Wonersh Parish Council, Blackheath Village Society and Surrey County Councillor Dr A Povey. Advice and assistance are now being sought from Surrey County Council to help advance this project to the practical implementation stages. Note, for example, that the footpath from the village to & from Wonersh entails using a section of Blackheath Lane which is single track with high banks and no verges. Survey questionnaires were sent to 105 households in Blackheath. 78 were returned. Response rate 74%. Over 87% of respondents believe that traffic often speeds through Blackheath. Nearly 80% believe there is a real problem with traffic in Blackheath Lane. Over 88% support having 20mph advisory speed signs in the village. Over 61% feel unsafe walking round the village because of the volume of traffic. Over 88% believe that the volume is increasing every year. Over 75% are prepared to accept alterations to the lanes if necessary. The majority of respondents reject solutions such as red tarmac, speed humps, rumble-strips and wide-restrictions in man-made materials that would suburbanise the lanes. A majority favour measures to prevent further erosion of the edges of the lanes. 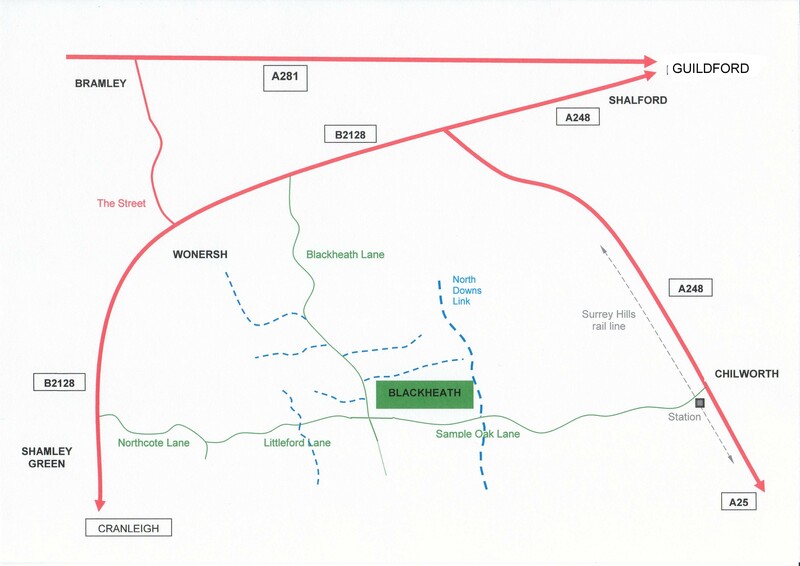 During the week of the survey 17-24 June 2003, over 7,100 vehicles used Blackheath Lane, over 5,800 used Sample Oak Lane and over 3,400 used Littleford Lane. On weekdays, average traffic volumes doubled between 8.00 and 9.00am compared to the hour before and after. The maximum speed recorded was almost 60mph. During peak volume hours, over 50% of traffic travelled at more than 30mph. On weekdays, an average of 16 heavy vehicles used Blackheath Lane each day. Average 85th percentile speeds were : Blackheath Lane 34.2mph; Littleford 31.9mph & Sample Oak 28.2mph. The sites : Blackheath Lane, Littleford Lane and Sample Oak Lane. Full data is available on request. Signs to be made from oak to match ‘Surrey Hills AONB marker’ signs. Black lettering on white background, possibly of slightly reflective material. Road narrowing in natural materials. This visual shows right hand verge only is widened but this is subject to final consultation with the nearby residents.